I thought the idea for C.S. Lewis' quote was fitting for this month, besides that I wanted to start a new book, was the fact that there are two new television shows which have recently aired that are in the fairy tale genre, Grimm and Once Upon a Time. While I do not usually watch television, I have made an exception for these two series. This show follows a homicide detective, David, who has begun to notice odd things with some of the people around him right before his dying Aunt arrives for an unexpected visit. He learns that the old fairy tales are real and he is a descendant of a group of hunters called The Grimms. Upon the passing of his Aunt, he now has to "protect people from the bad ones" and continue his day job as a police officer. This has been relatively easy so far seeing as how his homicide cases lead him to some of the evil creatures featured in the fairy tales. The first episode was reminiscent of Red Riding Hood, and the second episode would have been Goldilocks and the Three Bears. This series switches between two time lines. In one, Prince Charming wakes Snow White up from her glass coffin. Thwarting the Evil Queen's plans to make Snow White pay for "taking away her happiness" and "destroying what she loved". On their wedding day the Evil Queen appears to give their world the curse of no more happy ending. The only one that can defeat her is the yet unborn daughter of Snow White, Emma. But before the curse can reach the castle, the little baby is transported away just in time. The other time line follows the modern day bounty hunter Emma Swan who is visited by her son, Henry, whom she gave up for adoption as a baby. Henry believes that time has stopped in his town of Storybrooke and that all the citizens are fairytale characters suffering from amnesia. He now has to convince Emma that his adoptive mother and mayor of the town is the Evil Queen and that she is the only person that can save everyone. I really enjoy both of these shows. Besides the fairytale choices the story genres are different too. 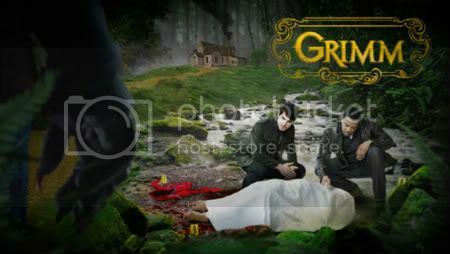 Grimm reminds me of a Law & Order-esque police drama. And Once Upon a Time reminds me of The 10th Kingdom without the comedy. Are any of you ladies or gentlemen watching these two series with me? Wow! I hadn't heard of either of these, but I'm sure going to check them out now! Yes! My mom and I love Once Upon A Time! lacosta: You're welcome. I am addicted to Once Upon a Time too. Grimm did not seem to have a lot of advertisement. My fiance happened to catch the end of the first episode and told me about it. Luckily it was on the on-demand and we got to watch the whole episode. My boyfriend's a huge Lost fan in the first place, and while I've barely seen anything at all of Lost, I do know that there's a HUGE amount of symbolism in that show, and that the writers have successfully loaded Once Upon a Time with symbolism, as well (which I love!). Bunny: If you enjoy those shows it should not matter if others find them lady-like or not. Alyssa: It's good to see another person that enjoys fairytale shows. I have never watched Lost either. It heard the ending was less than spectacular though. 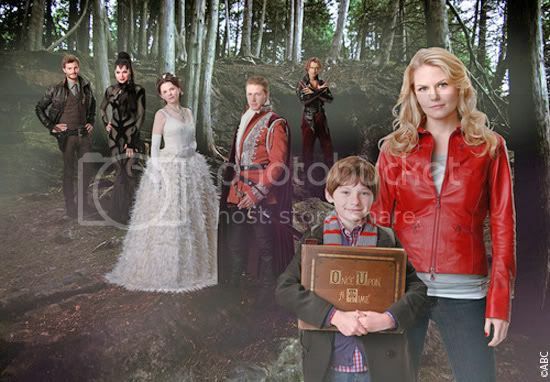 Hopefully Once Upon a Time will have a good ending.